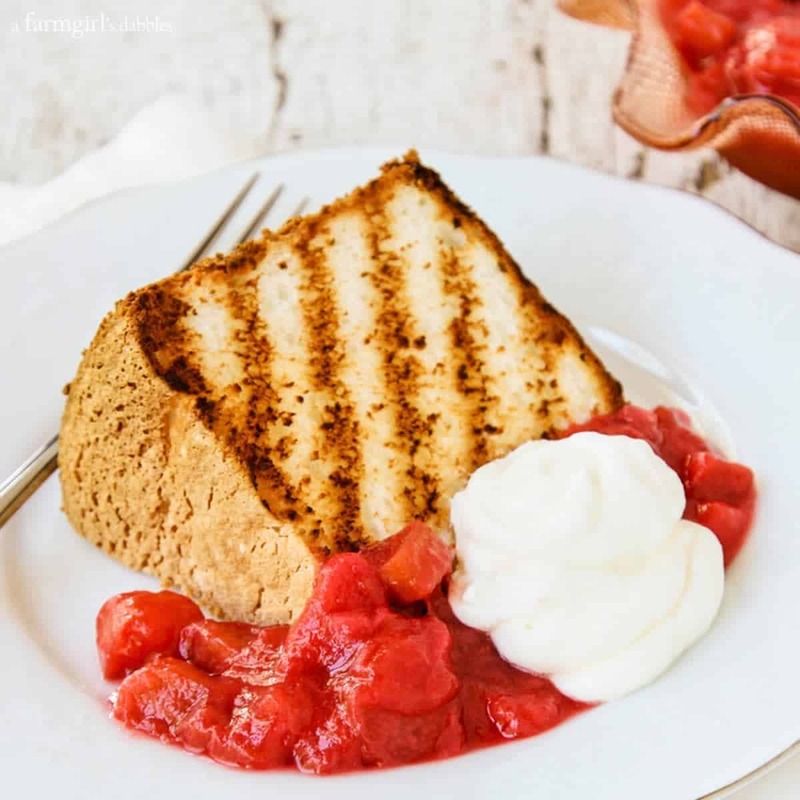 Grilled Angel Food Cake with Mom’s Super Simple Rhubarb Sauce. It’s springtime dessert perfection! Guys! Last weekend I ate the most amazing dessert. 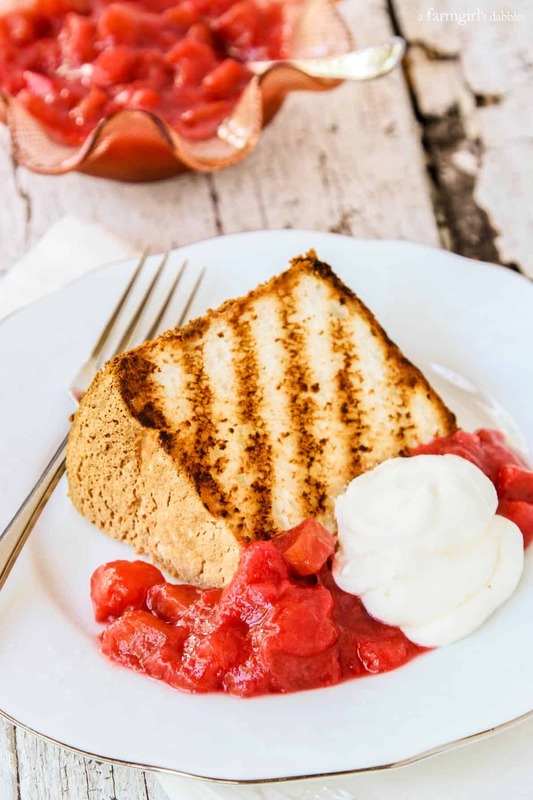 You just have to try this Grilled Angel Food Cake with Mom’s Super Simple Rhubarb Sauce. It’s springtime dessert perfection! Oftentimes the simplest recipes are the best, don’t you agree? Really. This recipe that my dad special requests each spring is just that simple. And it’s oh-so-good! As I was stirring this rhubarb sauce on the stovetop, windows open to catch some of that fabulous cool spring morning air, my mind was trying to come up with the best way imaginable to eat it. Of course, ice cream came to mind. And I think it would be lovely stirred into yogurt. But then I remembered something I had seen quite awhile back, where angel food cake was laid on the grill. I knew this was the answer. So I separated a dozen eggs and whipped those whites into the fluffiest angel food cake I know. The warm baked cake hanging upside down on the countertop all day (so fun! 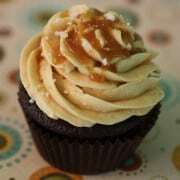 ), with its soft vanilla-almond scent, was sweetest temptation. And then, after the supper dishes were cleared from the table on our deck that evening, the magic happened. Pillowy slices of angel food cake were laid on the grill until gorgeously charred, barely two minutes per side. Then topped with fresh rhubarb sauce, perfectly sweet-tart and pretty, and a big spoon of just-whipped cream…there was no doubt in my mind that this combination of cake + sauce + cream was going to be on repeat until rhubarb season was over. Our daughters’ good friend stopped over while riding bike that Friday evening and joined us for dessert. After one bite, she leaned back and said the cake tasted just like roasted marshmallows. I looked up to find all of us grinning, because we simply had to agree. The angel food cake was delicately crispy, with an awesome hint of campfire flavor. I was surprised at how truly wonderful it was. And then the rhubarb sauce and fluffy whipped cream brought it all together with contrasting brightness and creaminess. End-of-the-week dessert perfection. In a medium saucepan over medium to medium-high heat, stir together all sauce ingredients. Let it come to a boil and then turn heat down to medium-low and let it simmer until rhubarb is broken down but chunks still remain. This should take 10 to 15 minutes, depending on the tenderness of the rhubarb. Be sure to taste test the sauce while it is simmering, adding more sugar if you like a sweeter sauce. You can also create a thinner sauce by adding more water, if desired. If you like a little more color to your sauce, stir in a drop or two of red food coloring. Remove pan from heat and let cool completely. Bake cake according to recipe. Let cool completely. Heat grill to medium-high and then lay cut slices of cake onto clean grill grates. Cook until gorgeously charred, and then flip. This should only take a minute or two per side. 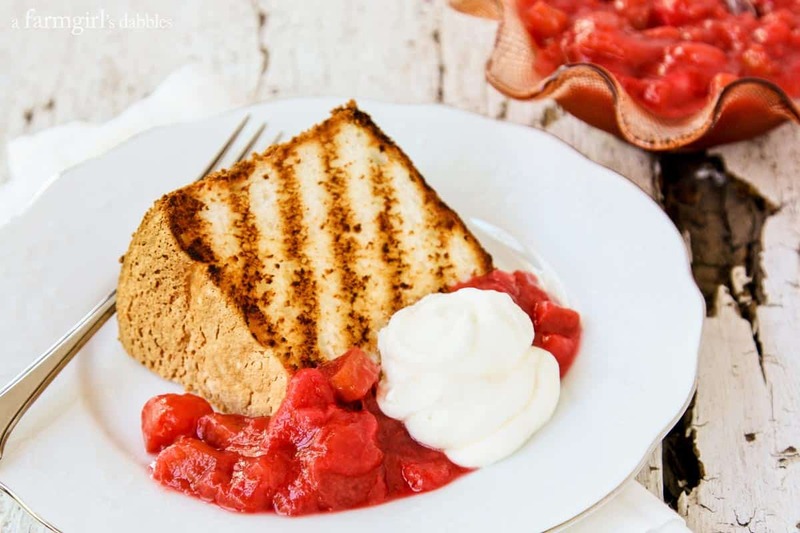 Serve slices of grilled cake with rhubarb sauce and freshly whipped cream. 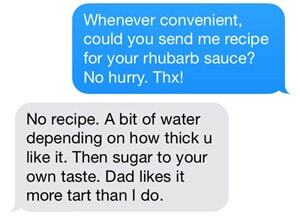 Recipe for the rhubarb sauce comes from my mom. Absolutely love grilling cake! So much fun and that rhubarb sauce is just the bomb diggity. What a perfect summer dessert! The rubarb sauce looks particularly delicious! Have never thought to grill cake, what a fun and easy dessert recipe for summer. Love it. It’s the most awesome thing, I just can’t stress it enough. I served it to 15+ people last weekend = huge hit! Ohhh angel food cake is one of my summer favorites! I never imagined grilling it. Brilliant. Ohhhh, Megan, you seriously have to try this!!! I bet grilling the cake brings out and caramelizes the sweetness. Yum! And this simple sauce sounds like the perfect compliment. Thank you for sharing! I made this yesterday and was blown away by how delicious and simple the sauce is. Everyone I served this to said that they are never having normal angel food cake again. The char and slight crunch make this such a wonderful, simple dessert. Thank you for sharing. Awesome! I made this again this weekend, too. It’s a sure bet for dessert! Grilled cake sounds like something I really need to try! Of course, I’d probably lose it down the slots, but I still want to try! I’m totally obsessed with rhubarb right now. My neighbour has graciously given me her rhubarb plant to pick from and I can’t get enough! Looks like the perfect early summer dessert. I don’t think it would be easy to lose the cake down the slots – it works great! Lucky you…enjoy all that rhubarb! Brenda! I love that you grilled this cake! I love the grill marks! and I have to try this rhubarb sauce!! 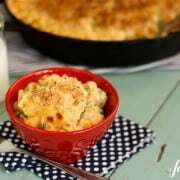 I love recipes from mothers . . so special! What a great idea! 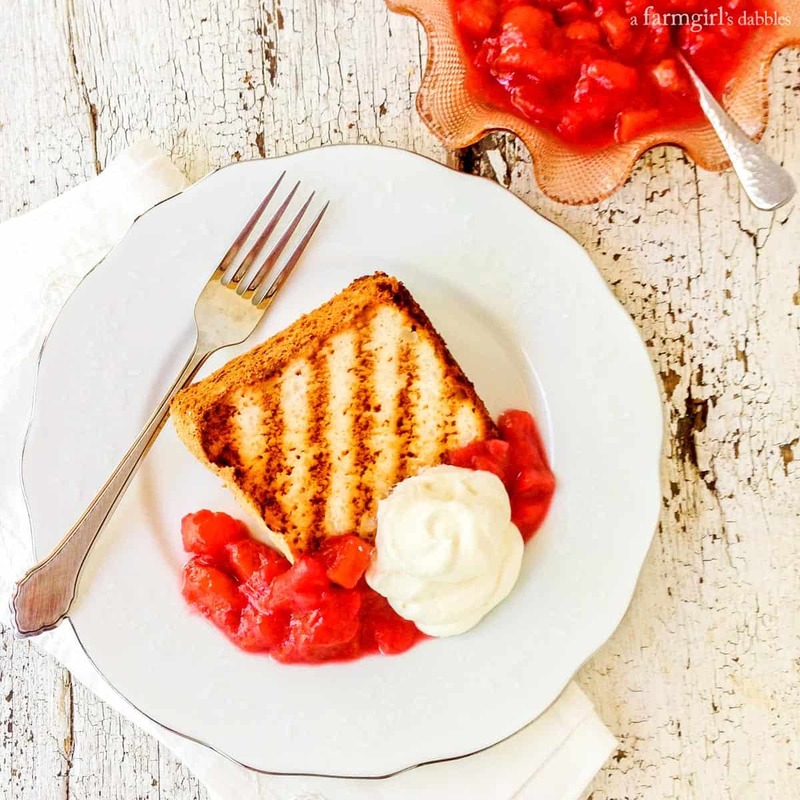 I can’t wait to try this grilled angel food cake! Thanks, Jessica. Hope you like it! This is gorgeous and I love that you grilled the cake! I adore rhubarb. This looks wonderful! This cake and rhubarb looks delicious. Can’t wait to try this! This is so pretty! Perfect Summertime dessert! This is such a cool idea. Love it!